The Beau Brummels were formed in San Francisco in 1964 Sal Valentino, Ron Elliott, Ron Meagher, John Peterson, and Declan Mulligan (who left the group early on, and later sued for damages after they became big), recorded for Tom Donahue's Autumn label. Both 'Laugh Laugh' and the follow-up 'Just A Little' (both produced by Sly Stone) were Top Twenty hits in early 1965, with a Searchers-like sound that caused the group to be dubbed 'America's answer to the British Invasion'. They used 12-string guitar, soft har-monies, plaintive harmonica and minor-key melodies to create a haunting sound that in turn spawned the Byrds and folk-rock. Although a seminal group in this respect, their follow-ups over the next three years (on Autumn and War-ner Bros.) were only minor hits. After their split in late 1968, Valentino made solo records and then formed Stoneground. Elliott had a group called Pan and also made a solo album. 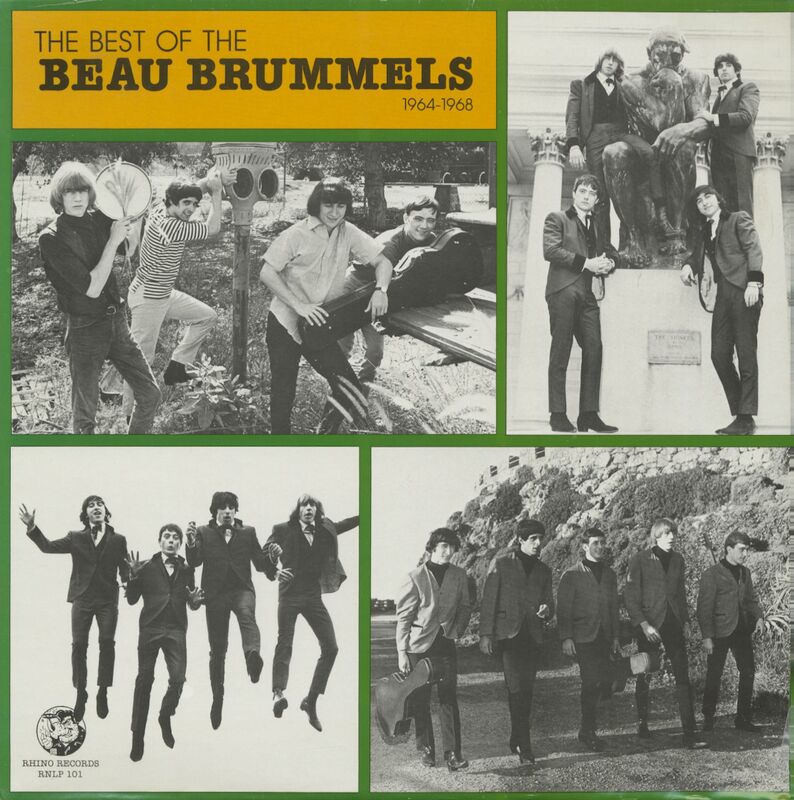 In 1974, the Beau Brummels re-formed, with a new album (4-75) on Warner Bros., only to disband in 1975. 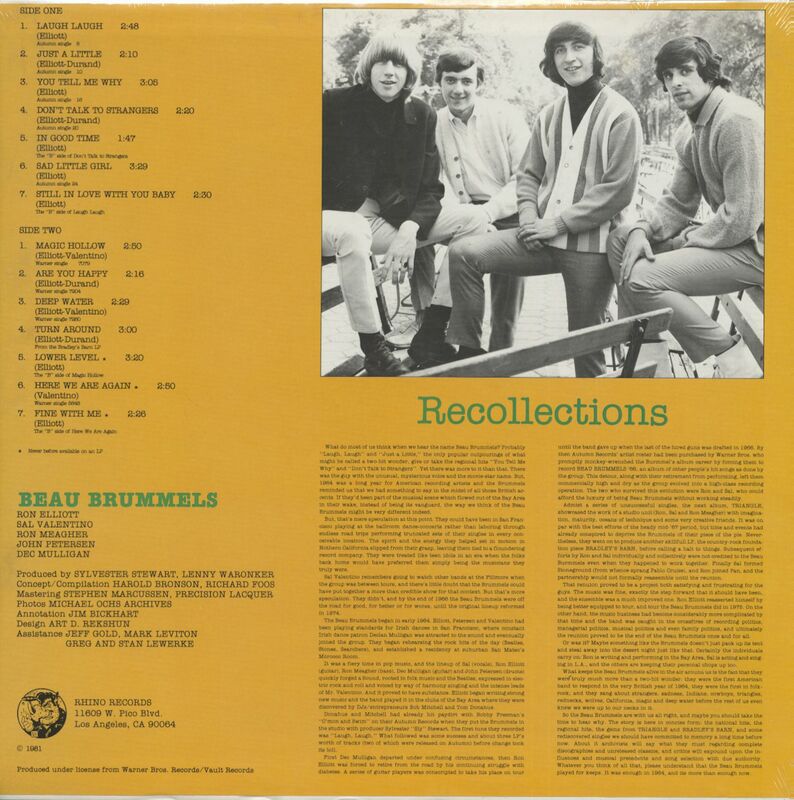 Customer evaluation for "The Best Of The Beau Brummels - 1964-1968 (LP)"